DENVER (AP) — Don’t delay. Don’t expect help. And get used to the smell. 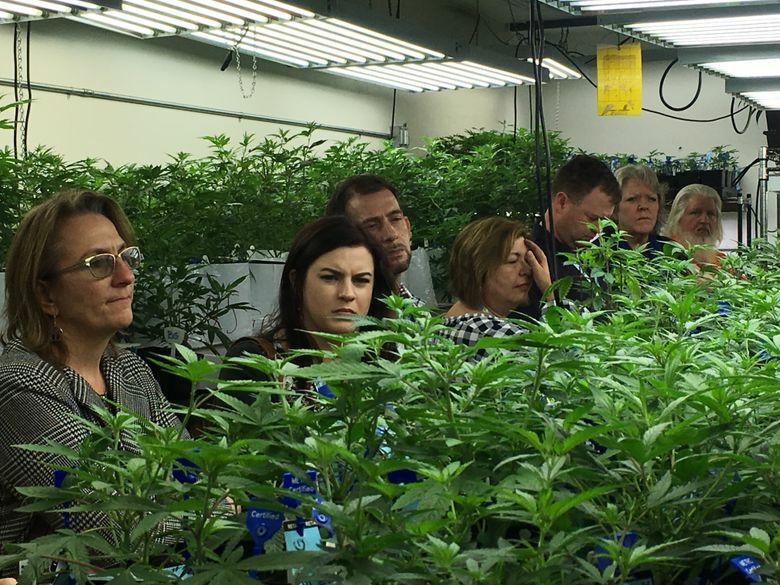 Those are some marijuana lessons from the Colorado Department of Agriculture. The agency is starting to open up more about regulating cannabis, a plant the agency long ignored. Colorado’s Department of Agriculture ignored the marijuana industry for the first dozen years it was legal, figuring state agents shouldn’t mess with a drug that violates federal law. The result was an industry of plant growers and processors that grew up without regulation. That gave the Agriculture Department a much tougher job later implementing things like safety guidelines and plant sampling. Agriculture regulators routinely turn to federal agencies to regulate things like pesticides and labeling. But when it comes to marijuana, those federal offices won’t help. Some federal agencies won’t even respond to emails including the word “marijuana,” Yergert said. “We had to work around that, so we’d just email ’em saying, ‘Can we talk? '” he said. Colorado now has 17 agriculture employees simply to regulate pot, including nine pesticide inspectors and a chemist. A dozen more staffers spend some of their time regulating hemp and marijuana, Yergert said. He advised other states to ask budgeters for additional money and employees before pot is legalized. “We thought we could handle it, but we about killed our staff,” he said. Marijuana inspectors can’t avoid a skunky weed tang sticking to their clothes and hair after inspecting a pot growing operation. But Colorado is reminding its sister agencies that inspectors should be used to unpleasant odors. After all, poultry and seafood processing plants can smell bad, but public safety relies on thorough inspection. Colorado encouraged other agriculture departments to be ready for employee grumbling about bad pot smells and give workers a break if they personally oppose pot, such as time to shower after an inspection. The U.S. Postal Service won’t accept packages containing marijuana, so agriculture regulators need another plan for collecting pot samples for pesticide testing. Colorado cautioned other states to implement tracking manifests or other bookkeeping to ensure pot doesn’t go missing in transit and that employees aren’t accused of trafficking the drug if police pull them over. Colorado agricultural regulators worried that some farmers would use industrial hemp as a cover for growing illegal pot, the reason hemp growing was made illegal in the U.S. But Yerbert said the agency hasn’t found any cases of someone trying to hide weed in a field of non-intoxicating hemp. There’s also little reason to worry about cross-contamination, he said. Because the psychoactive ingredient in marijuana, THC, goes down significantly in the presence of hemp pollen, pot growers have a strong interest in keeping their plants far from hemp. Yerbert showed other state officials photos of farmer-drawn signs outside hemp fields, advertising to local law enforcement and curious neighbors that the field contains hemp, not pot. “These signs are a good idea to say, ‘Nothing to see here,'” Yerbert said.